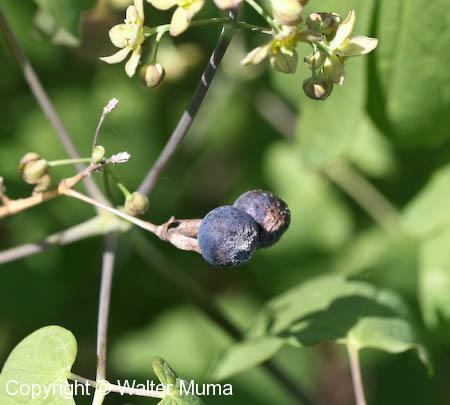  Blue Cohosh (Caulophyllum giganteum) - Purple flowers that bloom before or with the leaves opening. 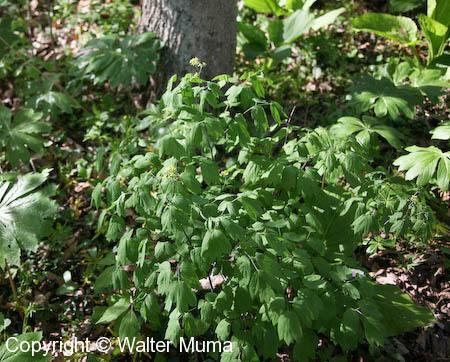 Notes: There are two species of Blue Cohosh: Caulophyllum thalictroides (this one) and Caulophyllum giganteum. 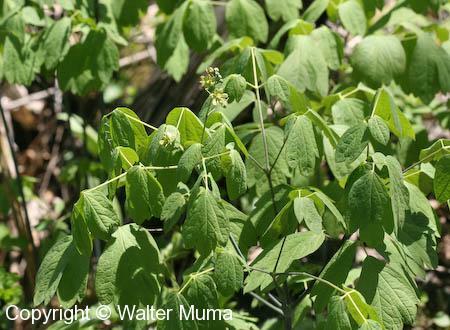 Caulophyllum thalictroides (the one on this page) generally has lighter greenish flowers which bloom after the leaves have opened. Caulophyllum giganteum has dark purple/red flowers which open with or before the leaves. 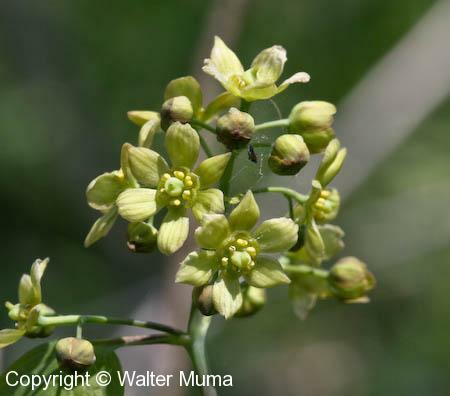 Scientific Name: thalictroides: like "thalictrum"
Photographs: 155 photographs available, of which 7 are featured on this page. SCROLL DOWN FOR PHOTOGRAPHS. The distinctive greenish flowers of Caulophyllum thalictroides. Early May. A nice sideways view of a flower. Overall plant. 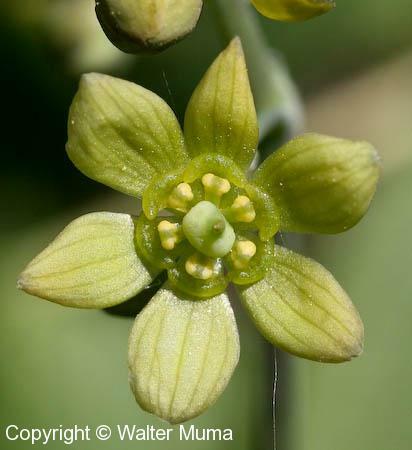 In this species the flowers are in bloom at the same time that the leaves are fully unfurled. Last year's fruit in early May.